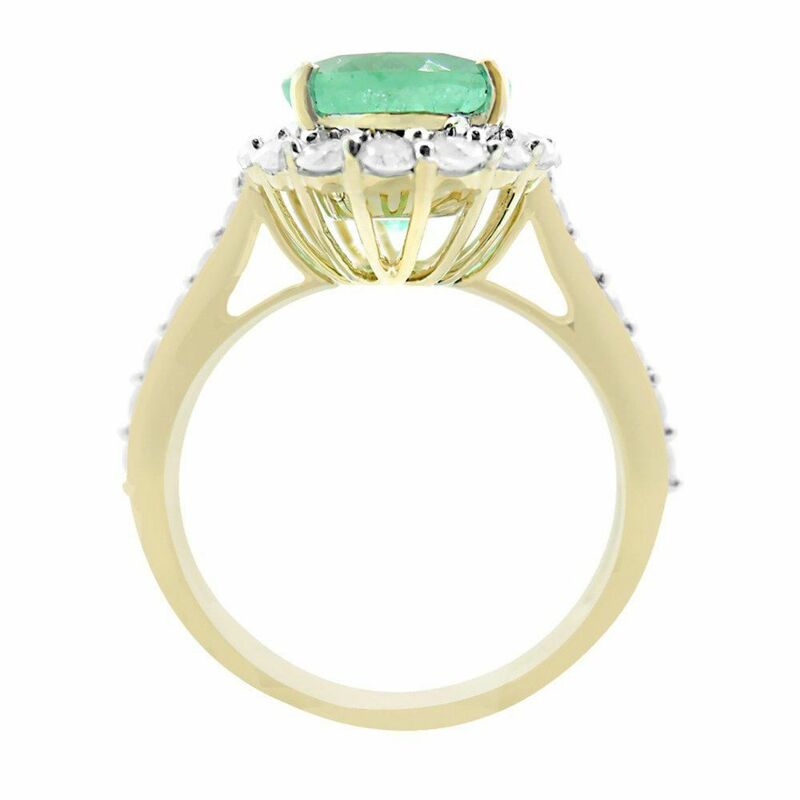 Fourteen karat (14K) yellow gold emerald beryl and diamond ring. 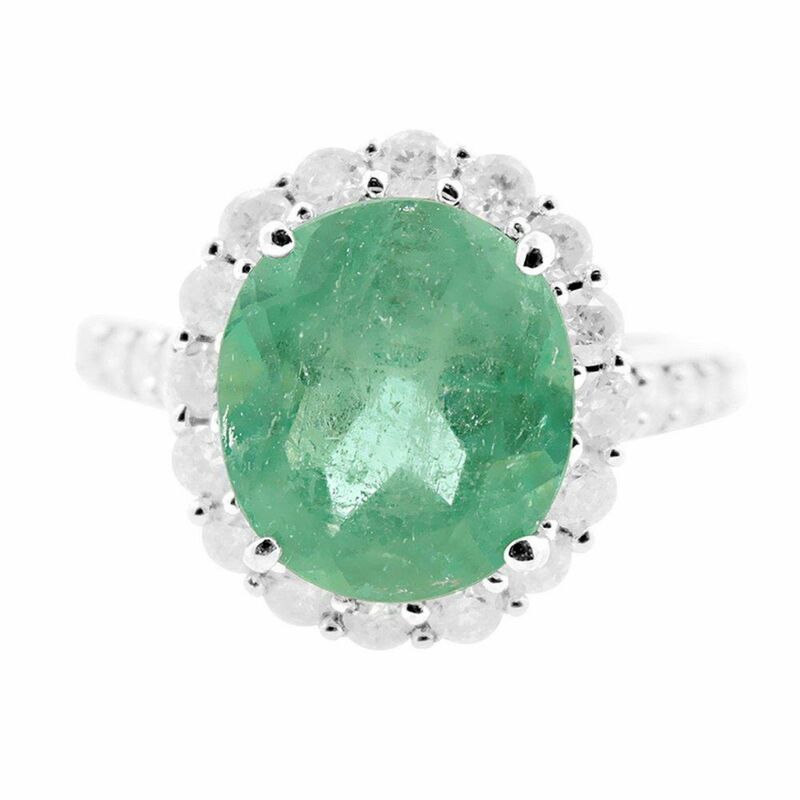 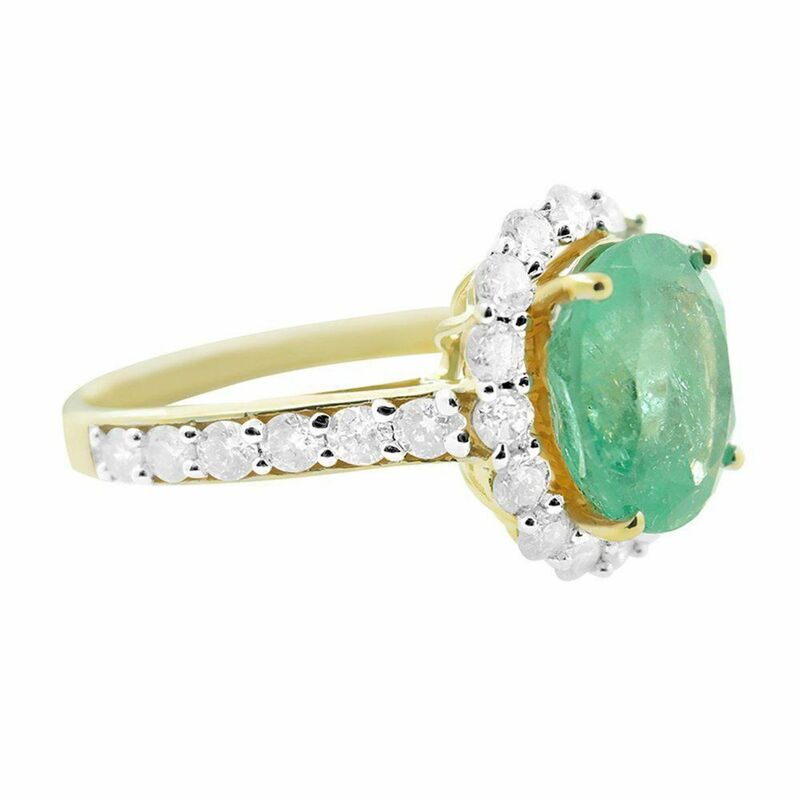 An oval cut emerald beryl gemstone is prong mounted in the center of the ring. 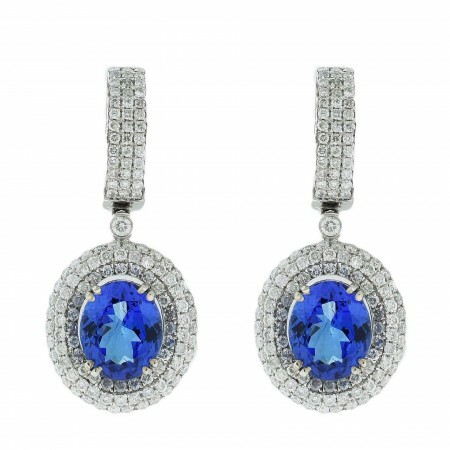 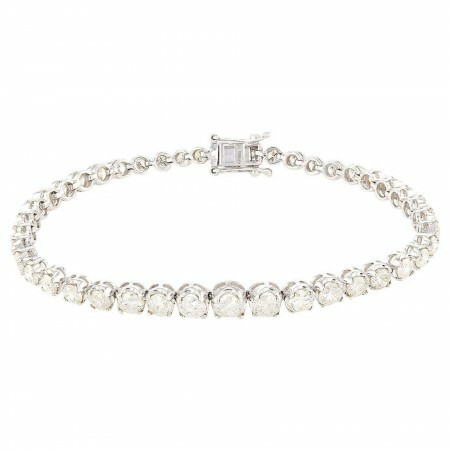 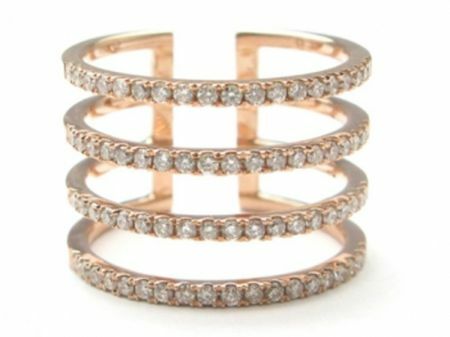 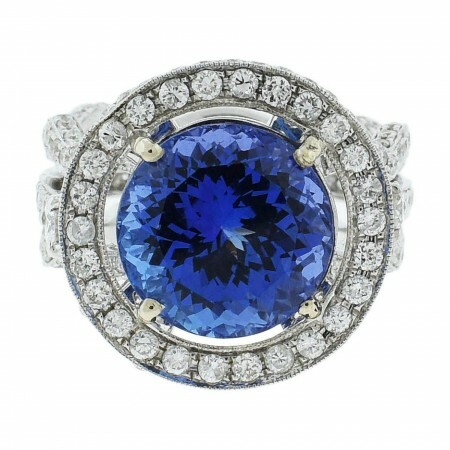 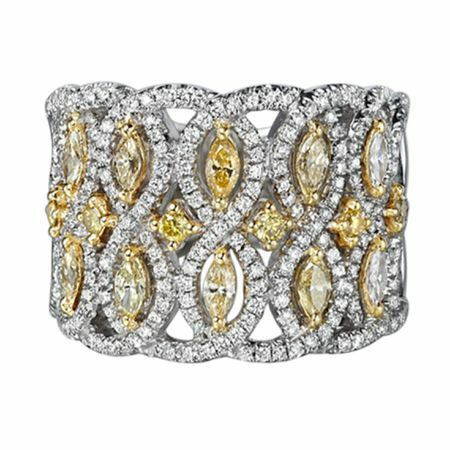 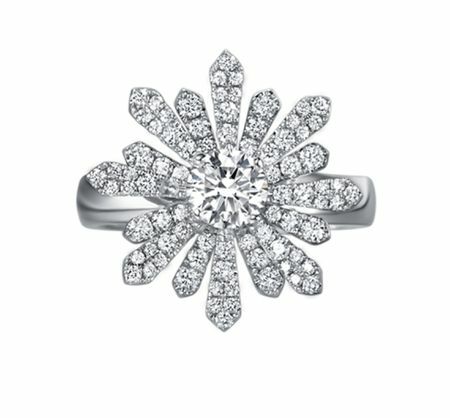 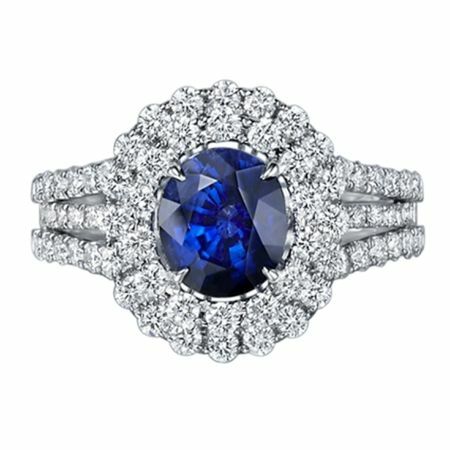 Round brilliant cut diamonds accent the ring around and on both sides the center gemstone. 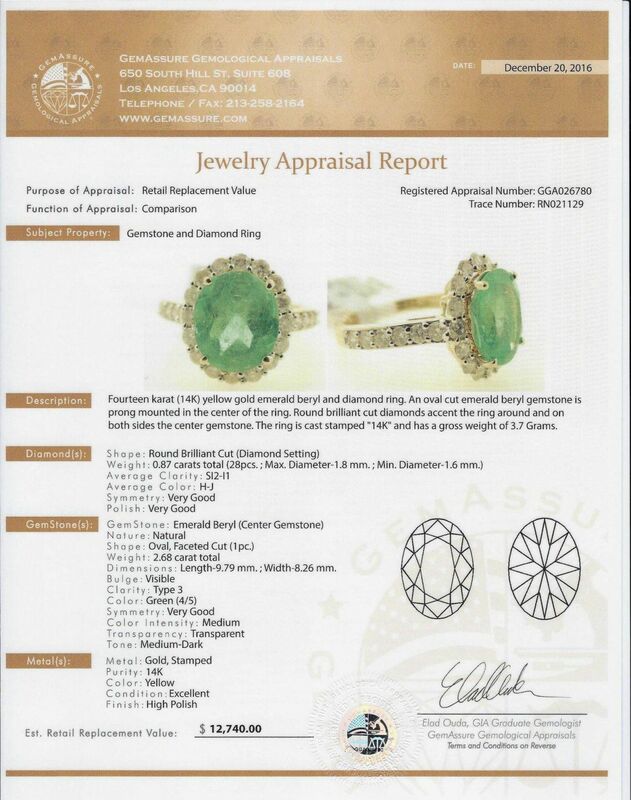 The ring is cast stamped "14K" and has a gross weight of 3.7 Grams.